This kind of allergies are not easy to identify. "Some people who are allergic may simply say they don't like apples, since they've a very mild reaction after eating them," explains Eric van de Weg, plant scientist at Wageningen University in the Netherlands, "but others will suffer blistering, problems catching their breadth and swollen lips, tongue and throat." He is among a group of scientists in Europe working to develop new non-allergenic fruit. "We wanted to increase the low availability of hypo-allergenic fruit but also come to a better understanding of the genes and proteins involved," van de Weg says. One solution, tried in a previous European project called ISAFRUIT, was to genetically modify apples. This was done by gene silencing—designed to produce a genetically modified (GM) fruit. Scientists hunted out the proteins which caused the allergic reactions and then switched off the genes responsible. Though van de Weg used some fungal genetic material for the initial apple experiments, he believes the genes could be switched off using apple genetics only, without involving any other species in the genetic engineering process. "When you silence a gene you are not making any new protein, so this means the risks are lower," van de Weg adds. Risks of producing GM apples may be limited, but a focus group study under another part of the ISAFRUIT project in four European countries showed that the idea of genetically modified fruit provoked heated debate. And it was uncertain if non-allergenic GM apples would be acceptable to consumers. The reduction of allergens in the food chain is extremely important, according to Lynn Frewer, an expert in risk communication in Newcastle University, UK. However, studies she was involved in suggested that non-allergenic apples may not open the door to GM fruits in our supermarkets. "Although consumers – and in particular food-allergic consumers – were more positive about the [GM] apple, there was still a clear preference for traditional breeding methods applied to the same end if possible, even for food allergic consumers," she recalls. Nature itself may shed further light into this issue. "There are hundreds of apple varieties already available," notes Allessandro Botton, a plant geneticist at the University of Padova, Italy, and some of these may hold answers. For instance, it is known that apple varieties such as "Golden Delicious" and "Granny Smith" are part of the high-allergenic group, whereas "Jonagold" and "Gloster" induce only low allergenic responses. 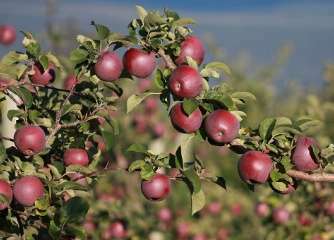 Botton, who worked on the genetics of fruit allergens in the project, says it is possible to focus on existing biological variability to look for low-allergenic apples, and says the time is not yet right to think about gene silencing techniques. "We must understand the biological functions of these proteins," first, he says, adding that its not certain what effect on the plant's health silencing genes might have. Asked if gene silencing and the use of genetic material from only apples might make a difference to public attitudes to GM, US geneticist Nina Fedoroff at the King Abdullah University of Science and Technology in Saudi Arabia, believes that "public understanding is not generally sophisticated enough to make such fine distinctions." She adds: "I don't think the general views [to genetically-modified organisms] are all that different in the US and Europe, although the reasons given for being against GM are sometimes a bit different." She concludes: "What is different in reality is that the pipeline hasn't been completely closed off in the US by over-regulation, whereas it has in Europe. That is largely a consequence of the fact that all members of the EU have to agree on approval and just one member can keep approval from happening."